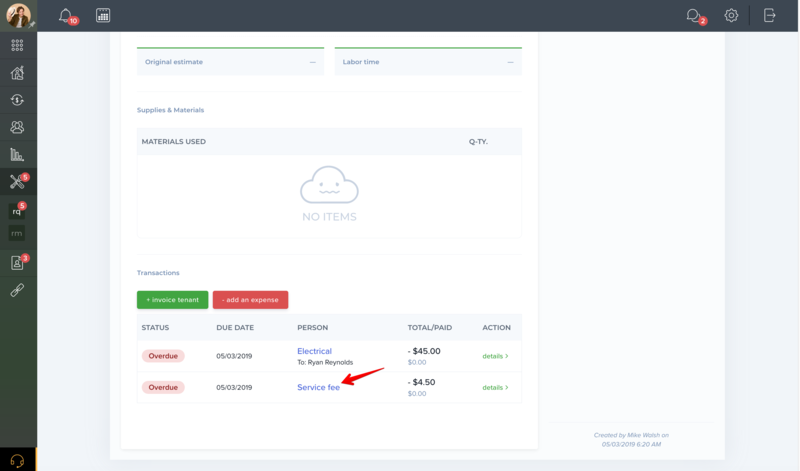 Help Center - How to automatically calculate a service fee to owner? Go to "Properties" in the left side menu of your dashboard. 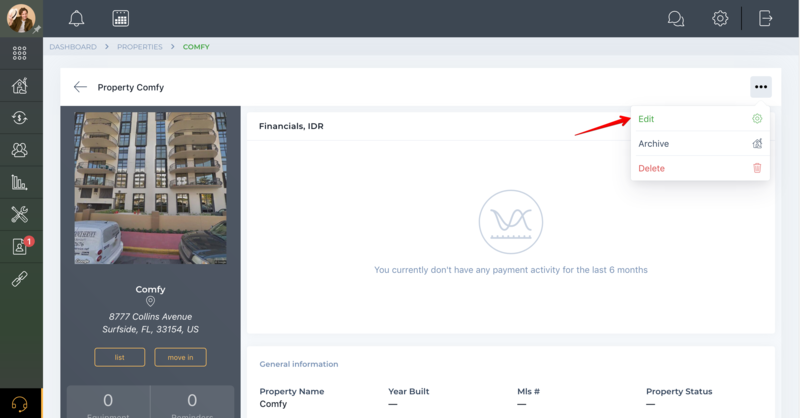 Press the "view" button for the specific property, click the three dots button, and choose "Edit". 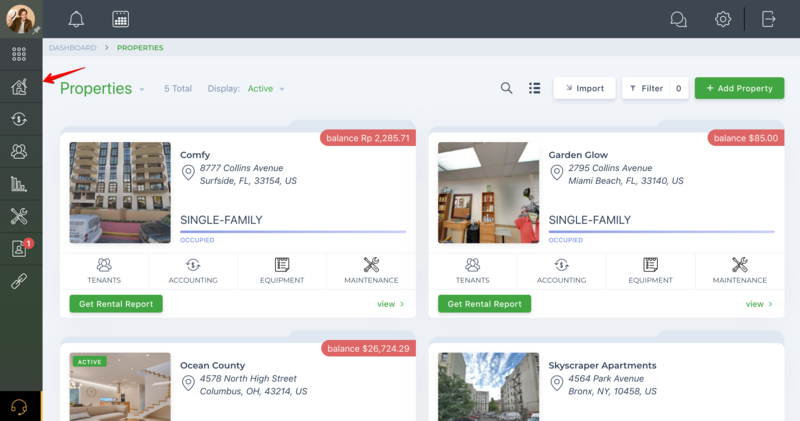 In order to create a service fee invoice to owner, you must add the owner to your contacts, connect with them, and assign them a property. 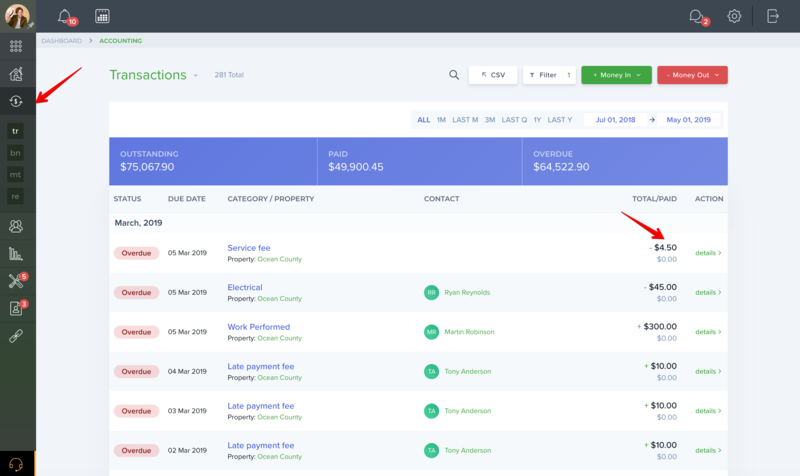 Once you set up the Property Service Fee global settings, every time the request moves to the "Resolved" status, the additional fee button with the calculated amount will appear on the request preview in the accounting section of the request. Click on the additional fee button and a Management Fee/Service Fee invoice linked to this Maintenance Request will be posted under this Maintenance Request as well as in the "Accounting" menu. 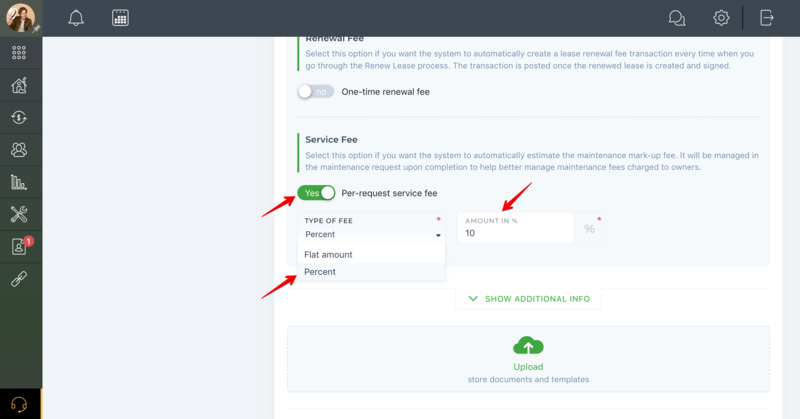 You will also see the new Service Fee icon displayed on the request card on the list of all requests. 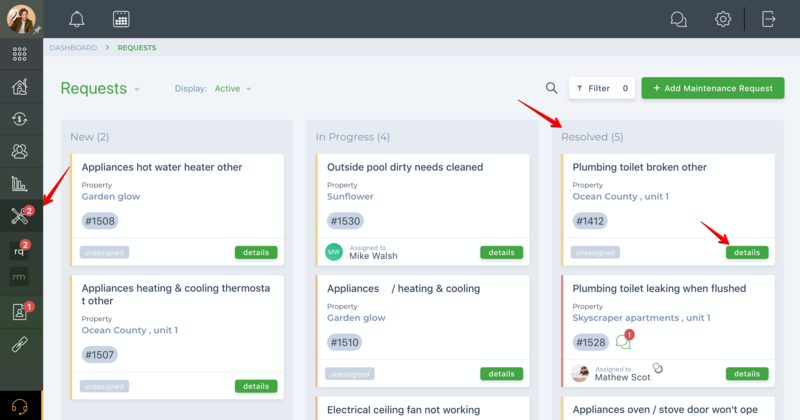 This will help you to determine what resolved requests were not invoiced.